Sometimes, holidays are all about fleeing chaos. 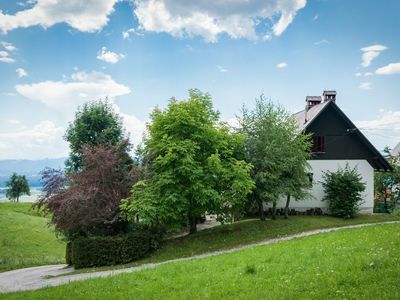 This Slovenian holiday home, situated in Bloke Plateau, with an altitude of 780 m, is your essential escape. It’s far from the maddening city, where you can relax, enjoying the stunning scenery’s peace and harmony, and recollecting your sense of self. Guests report feeling “rejuvenated” after their communion with nature, a full hour and 15 minutes from Ljubljana, in southern Slovenia’s heavenly region. 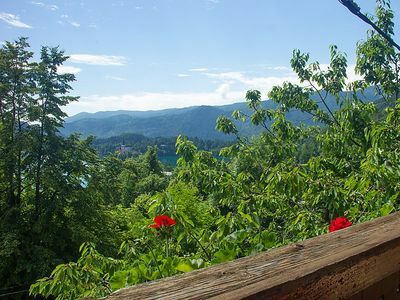 The peaceful, recently renovated home away from home boasts a glorious view of Slovenian’s southern landscape, just 100 km away from Croatia’s coastline. 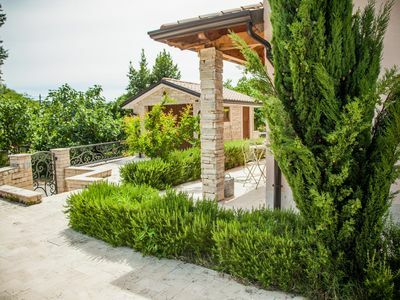 The 22,000 m2 surrounding yard, offering rich green grass stretching out to the woods, hugs the house, with a partial paved porch in the back. There, two built-in stone BBQs, along with an outdoor table and chairs, become your safe-haven for outdoor, intimate relaxation and dining with family and friends. From the yard, enter the stone-built ground floor, with its seasonal kitchen, equipped with an INOX fridge, an electric hob with two cooking fields, a wooden serving trolley, and a sink. To the left, you’ll find an eight-person dining room table, a wood-burning stove, and a large wooden cabinet. This floor also boasts a bathroom, with both a shower and a toilet, for quick access from the outdoors. From the seasonal kitchen, mount the steps to the first floor’s foyer. From there, enter into two bedrooms, the living room, another bathroom, or a full-time kitchen. Remarkably, despite recent renovation, the dimensions of the mostly wooden house remain the same, thus allowing the house to resemble traditional, local homes from the olden days. It’s as if you’ve walked back in time, with all the amenities of the modern age. 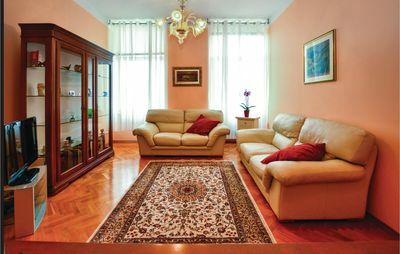 A living room, complete with a gorgeous sofa from massive wooden frame sized 90x200 cm, can be used as the fifth, single bed, also offers a classic television with an indoor antenna, along with an additional wood-burning, tile stove. The full-time kitchen boasts an electric hob with four fields, a small oven, several pots and pans, a smaller dining room table, and a storage room, along with another refrigerator. The views from the kitchen window of the estate and the forest are simply stunning, a reminder that you’re far from the density of the city. The first bedroom is bright, with smoky oak flooring, a solid, large, wooden wardrobe, a 180x200 cm wooden bed, and an artistic, tiled, wood-burning stove, while the second boasts the same flooring, an additional 180x200 cm wooden bed, and another wood-burning stove for maximum, night-time coziness. 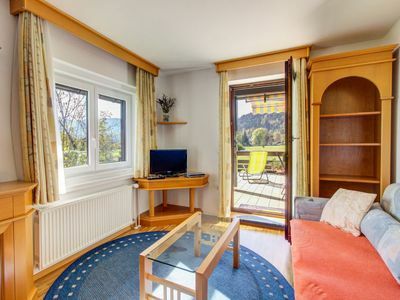 The first floor bathroom offers his-and-her sinks, with a shower and a toilet, along with gorgeous views of the surrounding, fairytale Slovenian forest. The second floor’s soul-affirming spa is a bonus retreat, with a smoky oak parquet, a Finnish, herbal sauna, along with a massage bathtub in a separate corner. In the center of the open space, there’s a tiled wood-burning stove. Off to the side, there’s a separate toilet, for convenience. Long ago, the Draga region was a healing sanctuary for the Swiss, who flocked to the area with hopes to heal their lung disease with the fresh, forest air. 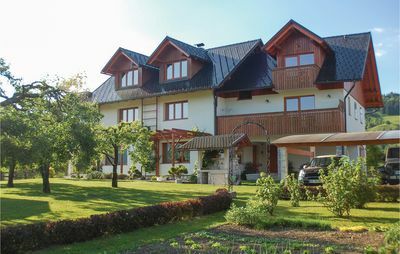 Even now, in the “modern” age, the house’s location is ideal for life-affirming recreation, such as trekking, biking, hiking through dense forests, water sports on the stunning Kolpa River, picking herbs and hunting for mushrooms, and anything else you can do with your arms, legs, and rejuvenated body, far away from the city center. Nearby, there are forest animal observation tours and bird listening, where each year, National Geographic films wild animals in their nature habitat. So long after the Swiss’ medicinal utilization, the magic isn’t lost. 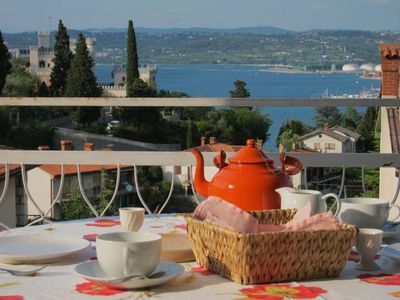 Due to the sanctuary-nature of the holiday home, the nearest food store is a full 7 km away, in Čabar, Croatia. 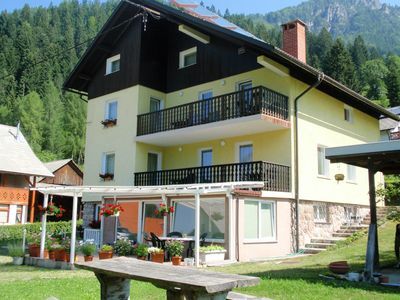 Another, in Loški potok, Slovenia, is 12 km away. 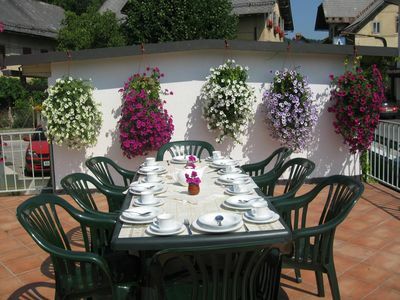 A nearby restaurant, just 10 km away, Gostilna pri Kapcu in Loški potok, serves wonderful, traditional Slovenian cuisine, with most of the dishes being homemade. Just 35 km away, find Kočevje, a primeval forest fit for a fairytale, completely preserved and dreamlike. Limestone caves dot the thriving, dense natural forest, hugging close to the Kolpa River gorge, one of the most beautiful, shimmering Slovenian rivers and lakes. The famous intermittent Cerknica Lake or fun Lake Bloke for swimming and barbecuing will keep your spirit high. Just across the Croatian border you'll find there's no end to this natural wonders, presented by Risnjak National Park, Čebranka Spring and if you go further you'll reach the sea! And if you decide for a winter vacation, we can guarantee you won't be disappointed. Bloke are home to a cross-country skiing in Slovenia, so there are several ski resorts we would be happy to suggest. 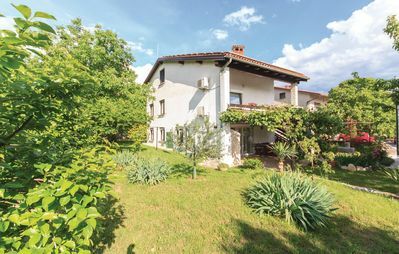 Whether you’re a family looking for summer vacation, or friends exploring Slovenia, this holiday home could be the perfect solution for you. It offers peace and tranquility as much as it offers recreational possibilities and outdoor adventures. 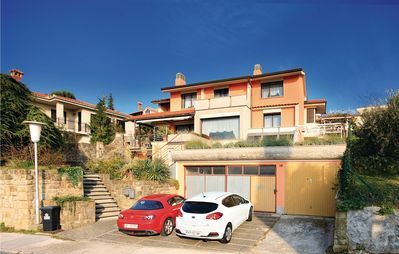 It's located on halfway from Ljubljana to the Croatian coast line, which makes it convenient also for a shorter rejuvenation experience, so please contact us to check availability and make a booking as soon as possible.